In this video you can see B.B. King playing trough a fender super reverb. 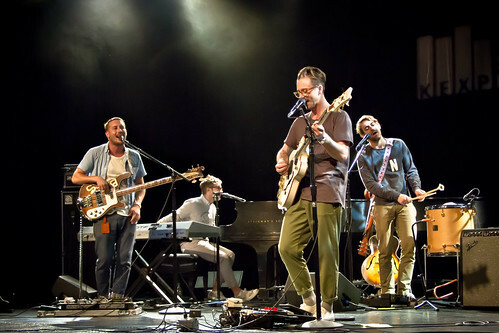 "My Super Reverb has been doing that live with The Cribs and Modest Mouse as well"
In an interview with [PremierGuitar](http://www.premierguitar.com/articles/19584-tedeschi-trucks-band-all-in-the-family?page=3), the 1965 Super Reverb is listed as one of Derek's amps. According to this premier guitar article, Susan Tedeschi uses two 1965 Fender Super reverbs when touring with the Tedeschi Trucks band. 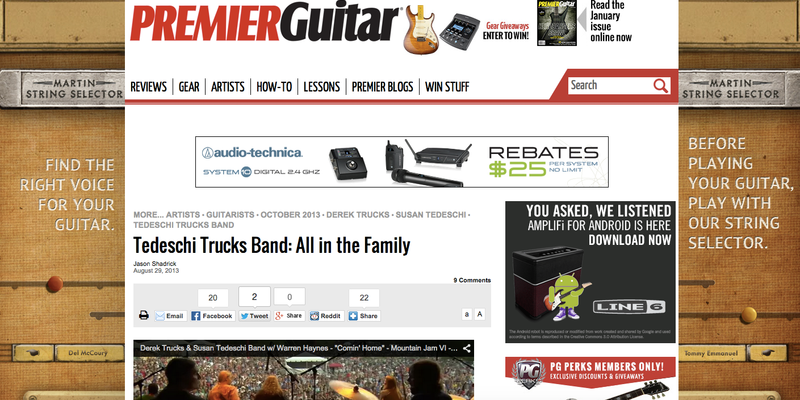 In this article from Premier Guitar we can see that he uses a fender super reverb amp. In this video (around 3:08), Bill says, that he uses Fender Super Reverb. In 0:41 you can see Dan's amp. On the picture, Verlaine can be seen playing with his band Television, in their early days, back when Richard Hell was still in the band. Also, Richard Lloyd said in a quote from his website: "We used to use Fender Super Reverbs. Black face with 4 ten inch Jensens. We both had those for years. Then for some reason we switched to the Music Man equivalent". 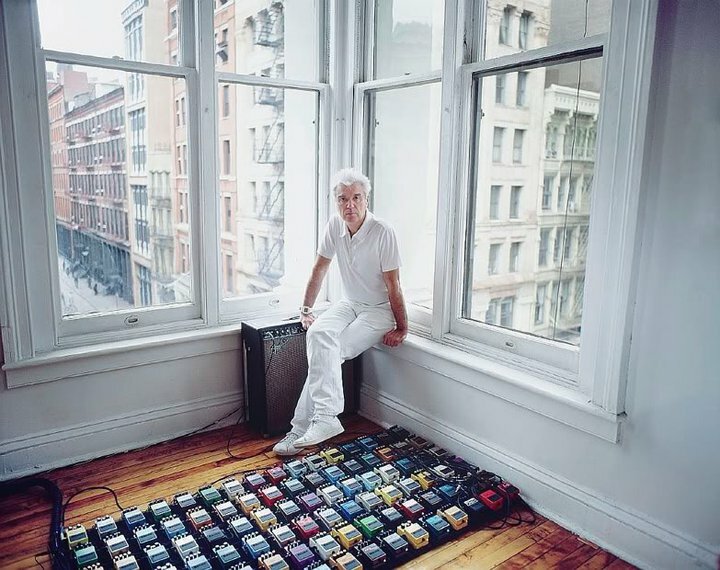 This photograph shows David resting on his favourite Fender Super Reverb Amplifier Blackface in his apartment in New York City. In this YT video Tommy plays both a Super Reverb and a Fender Vibro King. I also used a ’65 or ’66 Fender Princeton Reverb loaned to me by a friend. I had a bunch of different amps, and I normally use a Super Reverb live, but Scott Cable, the producer of Sugar Shack, told me to try it. Once we heard it I was like, “Oh man, that’s the one right there.” I used that for the entire album, with the volume typically set at 5, 6, or maybe even 7. In this article you can see that Johnny states he uses a Fender Super Reverb. Artist quotes "I've got a Fender Super Reverb"
He uses it among two other amps to get different sound characteristics. He is plugged into the vibrato channel on the amp with no vibrato on just with the reverb dialed in on 3-4. He says the amp is a big part of his sound in the band. He splits his signal at the end of the effect chain and sends a dry signal from digitech whammy directly to this amp as oposed to his vox which gets the wet signal from the whammy. On this Instaram post Henri shows two amps that he recieved from Fender, including a Fender Super Reverb. At 17:39, you can see his amp in the corner. "...An AC 30 and a Fender super reverb..."
No reviews or videos yet for 1965 Fender Super Reverb. With an Equipboard account you can rate this item, add it to your collection, submit a review to discuss what you like and dislike about it, and associate 1965 Fender Super Reverb to artists that use it. Create an account!